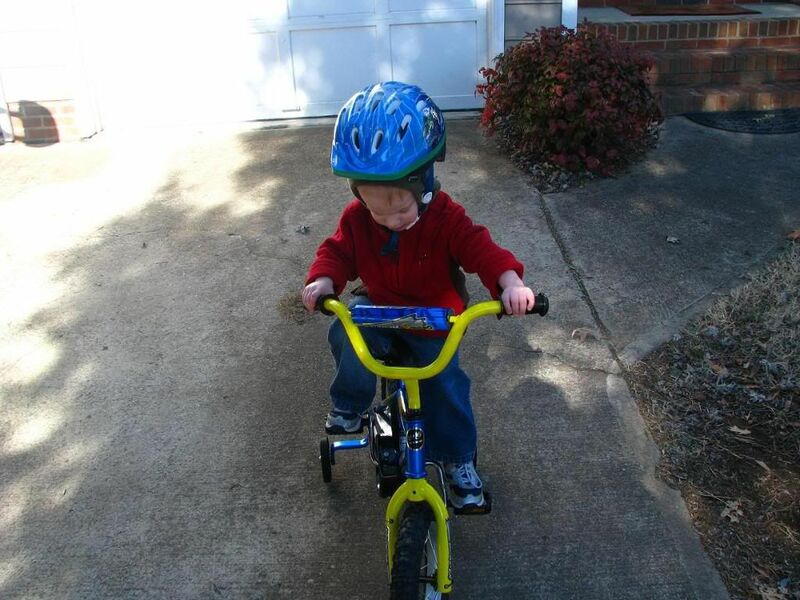 So Evan got his first big boy bike for Christmas, but due to the cold winter weather, he really hasn't had an opportunity to try it out. The first opportunity we had, we bundled him up, strapped on his helmet, and took that bike for a spin on the road. Safety first! He looked so cute in his little helmet! 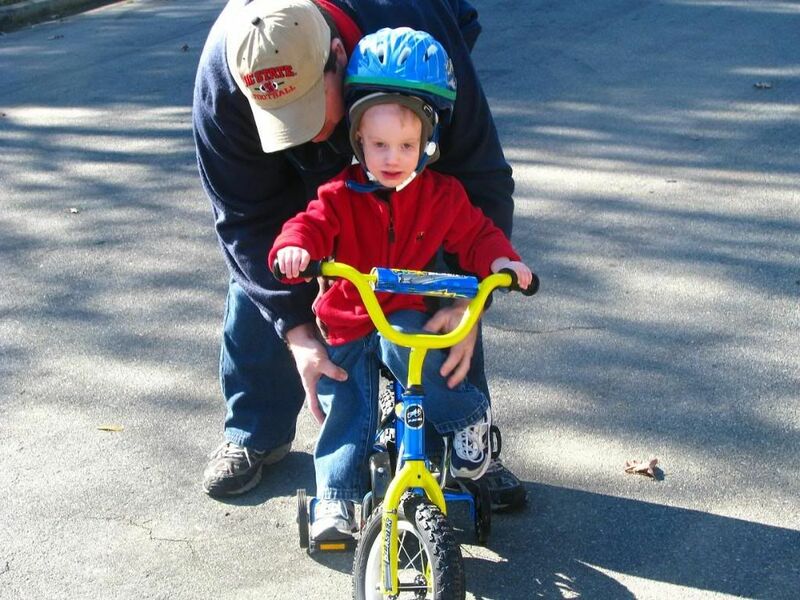 Daddy helps Evan learn to pedal. I am seriously worried about my niece! Rub A Dub Dub, Dinosaurs in the Tub! Yes, our kid is a genius! Starting the New Year out with a bang! Potty Training is easy peasy!